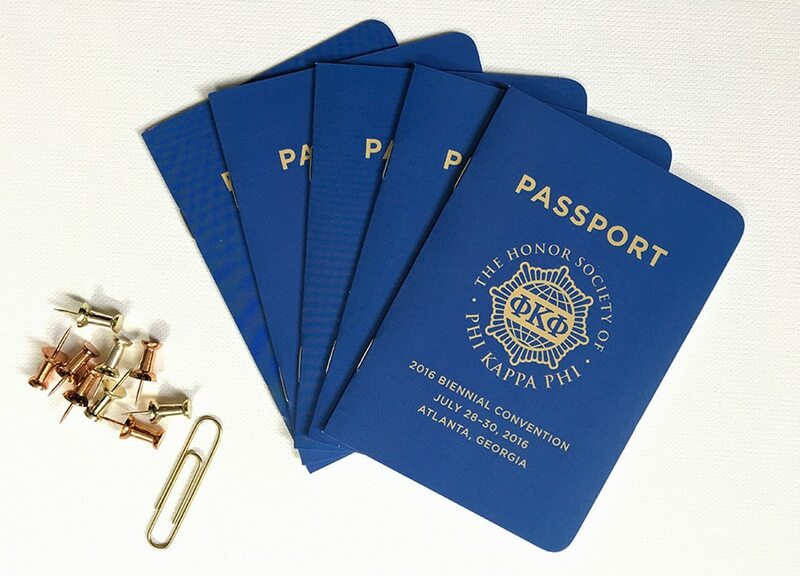 It was an honor to work with Phi Kappa Phi to create a passport program and raffle booklet or their Biennial Convention. Attendees were asked to visit 12 informational stations and obtain a stamp at each one before visiting a final station for verification, at which point they are entered into a raffle to win fun prizes. They provided with the wording, page flow plan, event logo, and a conference brochure for style reference. 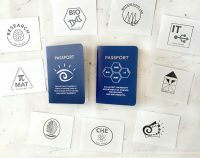 I then designed the passport to be fun and easy to use while complimenting their existing print materials. Brief descriptions of each station, an event schedule, and a QR Code link to the convention app were also included so the booklet could serve as a mini-program for the event. This passport is 8 pages (including inside and outside covers), but our passport booklets can easily hold up to 52 pages or more. Contact Custom Paper Works to create a custom passport program booklet for your organization’s next event.